It's a great time of year for sports, with the NBA Finals, the French Open in its final stretch, the World Cup almost here and the MLB regular season in full swing. So it's not shocking to see sports brands dominating the Adweek/Shareablee weekly chart for the second week in a row. But the X Games appearance at No. 6 is especially fun. 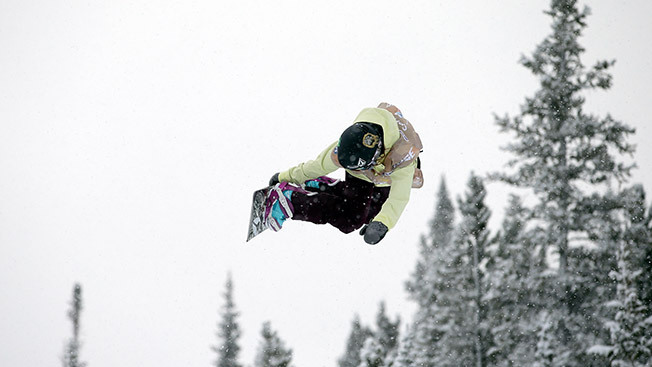 It's a 15-second clip of Elena Hight, pulling off what snowboarders evidently call a "double backside alley-oop rodeo." And she's the first person, man or woman, to do the stunt in an actual competition. More than 15,000 folks "liked" the social video, as high-flying-styled action continues to be a winning strategy when it comes to Instagram engagement. It probably doesn't hurt that the photogenic Hight has proved popular on Instagram on her own. She has nearly 21,000 people following her outdoors fun and fashionable poses. Check out her historic snowboarding work below in our multimedia infographic, which allows viewers to watch last week's top videos while seeing what kind of organic reach they created. In addition, Dolce & Gabbana makes its debut on our chart at No. 9, accenting how fashion brands are also making their mark with Instagram video.